Happiness is in it’s flavour! 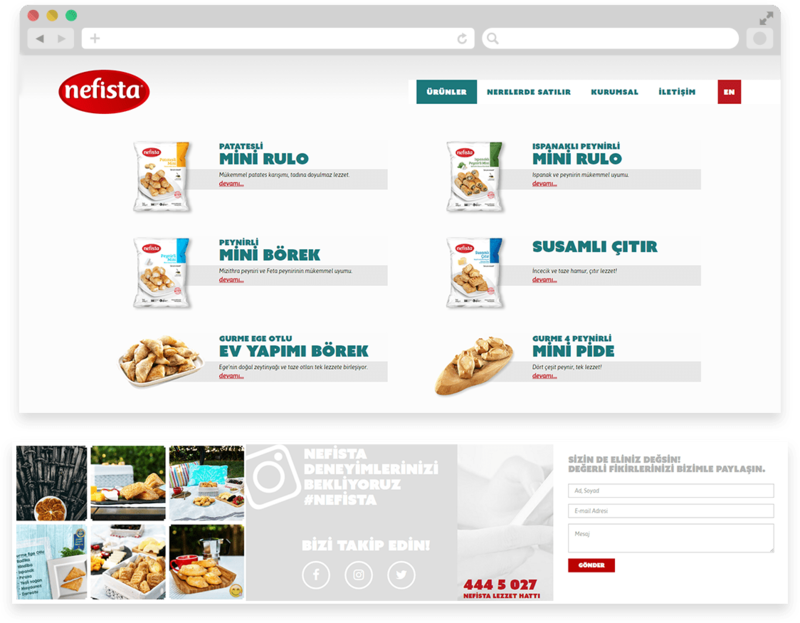 Nefista, one of the pioneers of frozen food sector, brings it’s practical products with both consumers and brands. 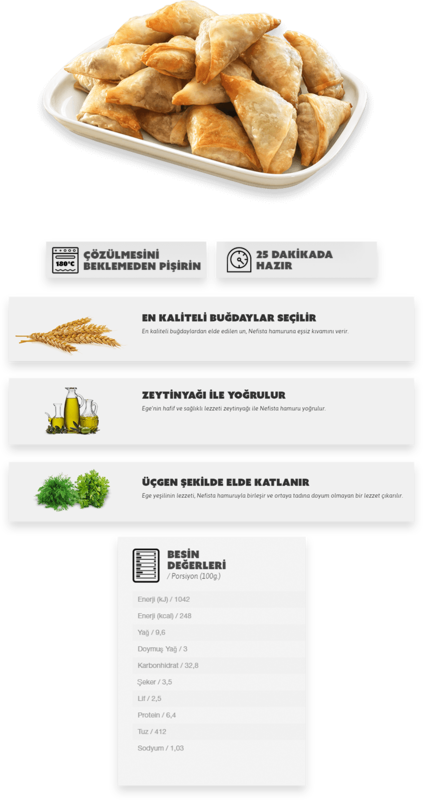 A simple and minimal design approach developed to emphasize hand-picked product content, cooking techniques and nutrutive values. 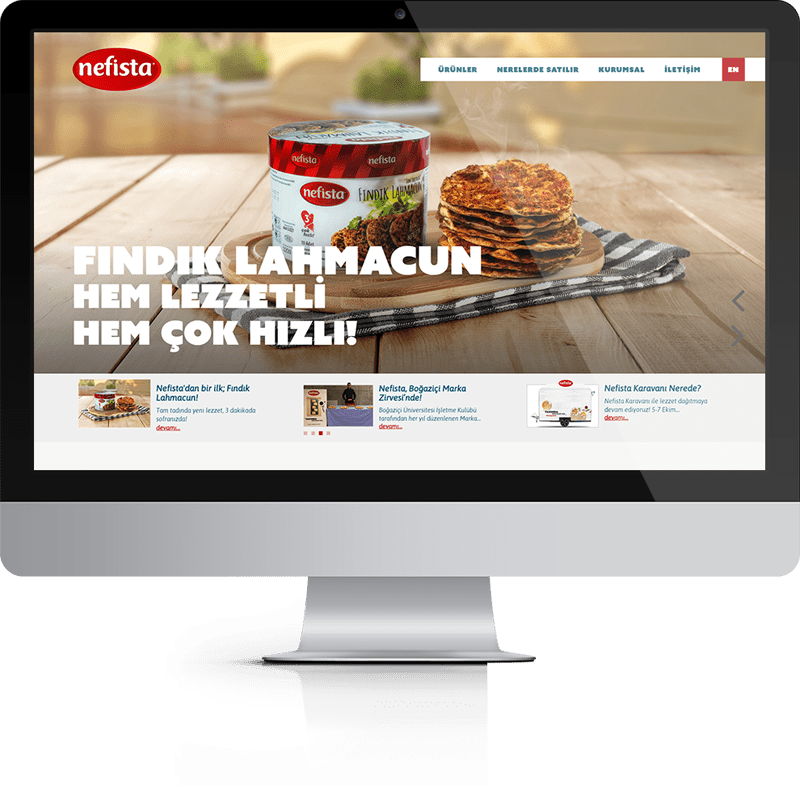 On the new website news sections created to show Nefista’s new products, attended fairs & events and received awards. Also social media channels ingrated to the website to show branded content to visitors in real time.